This is a full review of a product called Transformulas Lip Volume Lip Plumper. It is designed to stimulate collagen and reduce cellular damage caused by the sun and aging on your lips. It is also intended to increase lip size; define and contour lips; maximize pout; strengthen cells to help lips retain more fluid; deeply moisturize your lips and leave them feeling smoother and softer. The manufacturer claims that with regular use, lips are maximized (up to 40% bigger), super hydrated while fine lines around the mouth are minimized. Gly-His-Lys provides relief from wounds and irritation naturally. It also improves the efficacy in restructuring the connective tissue by stimulating collagen. Beeswax naturally soothes and softens lips. Macadamia Ternifolia Nut Oil forms a protective layer over the lips to keep them smoother, and softer. Tocopheryl Acetate Vitamin E has anti-inflammatory properties. Pro Vitamin B5 (Panthenol) boosts lip renewal process and regenerates skin damage. Apply over lip line following the natural curve. Then apply all over the lip area. You’ll feel a slight tingle with a minty freshness, which is completely normal. For best results apply it at least three times a day. Transformulas advises that the best results are achieved when this lip plumper is used on bare lips. Use a lip pencil that closely matches your natural lip color to maximize definition. You can purchase Transformulas Lip Volume Lip Plumper for $39.31 from the manufacturer’s website. It is also available for $49.95 on Amazon. We must say that it is one of the expensive lip plumpers we have reviewed so far. If you email the manufacturer your pictures before and after you used the lip plumper, you will receive 5% off on your next purchase. Unfortunately, a money-back guarantee on this product does not exist. This means that you are on your own. No returns will be accepted unless the product is faulty, and that should be done within 14 days from the date of purchase. 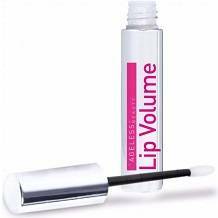 Transformulas Lip Volume Lip Plumper appears to be beneficial in increasing the size of your lips, making them fuller, and in moisturizing, soothing and smoothing them. The ingredients are all natural. The instructions provided on the website are clear, and the manufacturer provides tips for maximum results. Most of the reviews on the manufacturer’s website are good. However, there are also critical ones. It is disappointing that there are very few consumer reviews about this product because it means that it has not been bought and used by many. Prospective customers will not benefit much from such few reviews. We are also concerned that there is no money-back guarantee, especially considering that it is more expensive than most similar products on the market. We are uncertain about the effectiveness of this plumper because ingredients like peppermint, willow herb flower, and pink purslane would have been useful. Due to these worries, we would like to recommend that you rather look for another product.